"The first Super Bowl pick was supposed to determine a winner -- but while scooping his box I got to thinking 'you know there's a pretty obvious message here' and wound up going in the opposite direction," said Ostrofsky. MISSION SAN JOSE, CA 31 January 2013 Five Pet Place, a producer of designer cat furniture, today announces Mr. Nuts, a cat with a track record of accurately predicting the outcome of future events, has projected the San Francisco 49ers to lose Super Bowl XLVII. He made his choice by selecting between two identically prepared litter boxes. 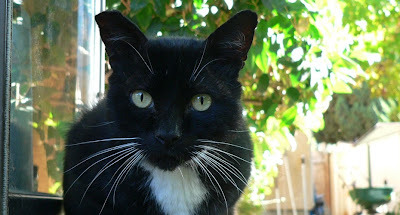 A large black and white tuxedo cat, Mr. Nuts made his first Super Bowl prediction two years ago by correctly picking the Pittsburgh Steelers to lose to the Green Bay Packers by choosing a cat box designated to represent that particular team. He followed it up last year by correctly picking the favored New England Patriots to lose to the New York Giants and Mitt Romney's loss to Barack Obama in the presidential election. A prediction for the gender of Prince William and Kate's baby is pending. "The thing about Mr. Nuts is he doesn't let anything influence him," said Five Pet Place founder Michael Ostrofsky. "He picked the Steelers to lose while living in a house full of Steelers fans. He picked the Patriots to lose even though the odds makers favored them to win. He waited to pick Romney until there was a cocktail party with numerous Republicans over. Now he's going against the grain by not only picking the favored 49ers to lose -- he's doing it despite living in the middle of the San Francisco Bay Area. Want a pat on the back? Call a friend. Want the truth? Ask Mr. Nuts because he'll tell it like it is whether you can handle it or not." Football and election experts usually focus on choosing winners. Not when it comes to Mr. Nuts. "The first Super Bowl pick was supposed to determine a winner -- but while scooping his box I got to thinking 'you know there's a pretty obvious message here' and wound up going in the opposite direction," said Ostrofsky. "Now he has a Wikipedia page and gets requests for interviews from here to Canada. People were even using Mr. Nuts hashtags on Twitter during the election." "When making picks, we try to get into the spirit of what he's trying to determine," said Ostrofsky. "For the election, we had Romney on the right and Obama on the left for obvious reasons. For this pick, we flipped a coin and had someone in Baltimore call the toss because the Ravens are the Super Bowl's visiting team. She got that right -- then elected to choose the "east" box as it's closer to Baltimore. As for the llitter boxes themselves, the Ravens' was finished in solid Pure White as that's the color of their road uniforms. The 49ers'? It featured our Regal Tan accent paint as it's similar to their team colors. In a way, Roger Goodell would be impressed." How Mr. Nuts Got Ready for "Game Day"
Just like any athlete, Mr. Nuts ate a special high protein diet and trained hard before game day. "Since Baltimore is known for crab cakes and San Francisco for fresh crab at Fisherman's Wharf, we went and got some for his cat feeder. Of course, he had to wash it down by drinking water out of the kitchen faucet," said Ostrofsky. "Then we put some catnip on one of his cat scratchers to get him to work out a bit. He got so fired up he actually fell off it. 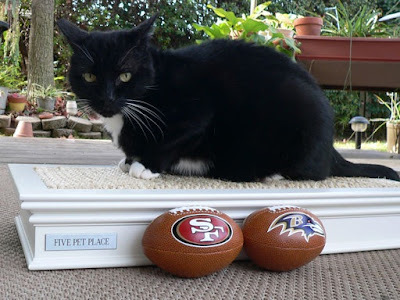 He even attacked these miniature toy footballs with Ravens and 49ers logos we bought for him. All I can say is when that cat was ready to go -- he was ready to go." "I for one am glad not to be making that pick," said Ostrofsky. "These teams are so evenly matched choosing a winner's a real crapshoot -- pun intended. But when it comes to crapshoots Mr. Nuts is the best in the business. I"ll be honest, though, I really wished he picked the Ravens. My neighbors, the guys at the golf course, everybody at the gym -- they're all 49ers fans. If he's wrong, I'm never going to hear the end of this." 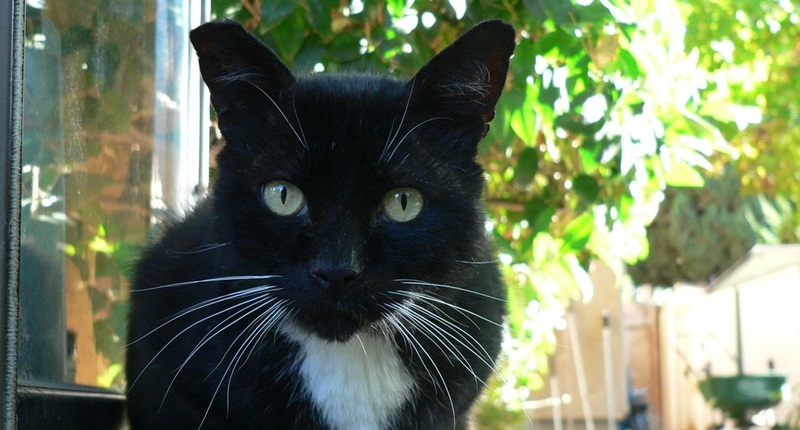 Based in Mission San Jose, California, Five Pet Place specializes in producing the world's finest luxury pet products for cats. Made in America to a standard instead of a price, the Five Pet Place collection of stylish pet products replaces the typical cat bowls, litter box, cat tree and cat bed with a set of quality products designed to pamper cats while pleasing the people who care for them. OMC!!! This is the most hilarious take on the superbowl I've seen! As if I wasn't laughing hard enough already...then I get to "A Real Crapshoot!" I loved this...better than most superbowl commercials. ...Mr. Nuts should have his own halftime report! Hmmm. Okay, see, ordinarily I'd be all about the Kitteh being right, but sorry, Pal, your name isn't Mr. Nuts for nuthin'--because, you are! Oh theese one is a good one! That Mr. Nuts is one character for sure! How awesome! Maybe Nuts wants to help me out in my fortune telling tent at the Blogville Circus? Have a fabulous Friday. This is very funny! But poor Mr. Nuts. He must not ever get any privacy in the litter box. Well, Mr. Nuts, we shall see. Wonder if you will be correct three times in a row. You sure are cute. Take care. you are welcome! I loved it too! Mr Nuts IS cool and OMC YES he DOES look like Kozmo! lol. you are welcome my furiends but it is Mr.Nuts that we need to thank! Hope you have a great weekend too....even if you ARE pulling for San Fran. Thanks for sharing our Super Bowl pick, Caren. Mr. Nuts can't believe he's been viewed over 800 times! That is too cute! It makes me feel better too, I thought my Dad was Mr. Nuts! we will be watching too and pulling for Mr.Nuts to be correct! Well, Mr Nuts seems to be a very impartial judge! There's lots of folks here in Maryland that hope he is right! Art Modell is a legend here for bringing football back to Baltimore. True Colts fans never really accepted the Redskins as their team. It was a very bleak day when everyone here woke up to find the Colts had moved out in the middle of the night with no warning to Indianapolis. We know exactly how the people in Cleveland felt. Its kind of a crappy way of doing business, we think. Oui Oui as a former Clevelander (lived there for 35 yrs) i couldn't agree with you more. When Modell moved the Browns it was one of the saddest days in my life! I DO understand how Baltimore reveres him and many in Cleveland who I still know, can't understand why I was so sad when he died. Art Modell WAS the Browns for most of their existence, and he was responsible for the onset of Monday Night Football. I still admire him, but as you said "not the way he did business" I still want the Ravens to win! I'll enjoy watching Mr. Nuts eating his Meows come Monday morning. Let's hear it for Mr. Nuts! This is truly one of the cutest stories I've read for AGES....I'm also hoping Mr. Nuts' prediction (although I agree it's a real crapshoot when it comes to the Super Bowl) is RIGHT ON TARGET (or should I say "IN THE LITTERBOX")!!! GO RAVENS (and Mr.Nuts). I so agree with you Pam! "Let's hear it for Mr.Nuts!" I loved the story too and am glad that you liked it! I say "Go Ravens" too! Our crystal ball says, he has 50% chance of being right ;-) Enjoy the game! What movie is that? " You can't HANDLE the truth!" MOL! !